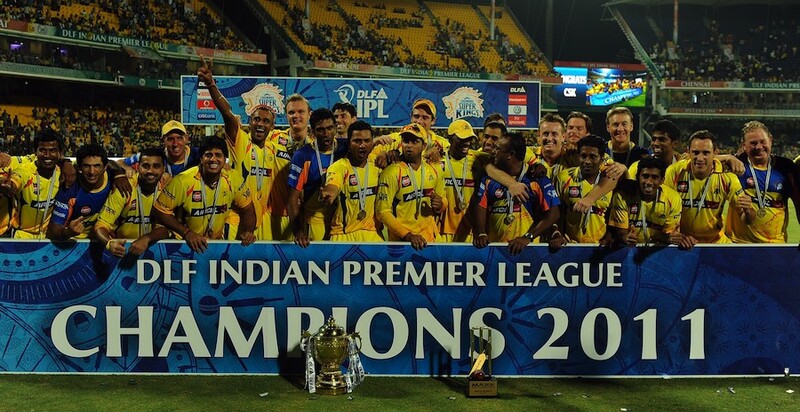 Home » Blogs , CSK , IPL , IPL 4 , MSD - Mahendra Singh Dhoni , T20 » Lions Roaring Again!!! 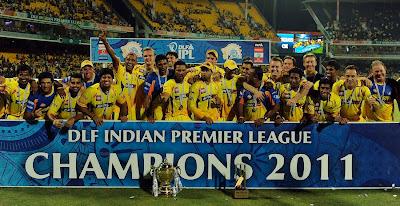 Another year, another IPL and another title for Chennai Superkings, add Champions League T20 title to that and it becomes a perfect hat-trick for the most consistent team of the IPL. After starting the tournament sluggishly they peaked as the tournament progressed. Actually its been a feature of Dhoni's captaincy, his led sides usually peak at the right time, they raise their standards when the big games arrive. There was a time in this IPL when Chennai Superkings were lying at No. 8 in the points table, though it was the early stage of the tournament but everyone was surprised (except their loyal fans) and were wondering what went wrong with the defending champions? But their fans believed in the ability of the team and were sure about their comeback, and Chennai Superkings didn't disappointed their fans, lifted their game and won the IPL trophy twice in a row. Last 12 months has been sensational for the Superkings, they have beaten almost every team they faced during this period and it didn't happened in one day, its a result of continuous hard work, tremendous self-belief, planning and superb effort. They bought back almost every player in the fresh auctions this January who were part of the 2010 winning team. It meant they don't had to waste time in understanding each other and it helped them to play as an unit from the beginning. As they say a team well built is better than a team well bought, Chennai Superkings implemented it. Credit should go to Mr. Cool MS Dhoni, he led the side brilliantly and proved it again there is no one even closer to him when it comes to leadership skills at the present time. The calmness which he shows during crunch situations is quite incredible, from a superboy in 2007 World T20 to a superman in IPL 2011, he has come a long way, he has all the major feathers in his cap now, arguably the best captain India has ever seen. Some may argue that he is a lucky guy but you can win once by luck, twice by luck but not everytime. He is brave and that is why luck favors him. 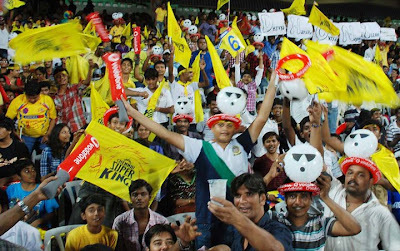 No doubt Chennai Superkings has the most loyal and happiest bunch of fans in all IPL teams and as Ashwin said he wants to make Chennai Superkings the Manchester United of IPL, here is hoping Chennai Superkings continues their good form and takes it to this year's Champions League!!! !